Live Love Planners: An Interview with Charlie from Sea Salt and Paper! An Interview with Charlie from Sea Salt and Paper! Hi guys! 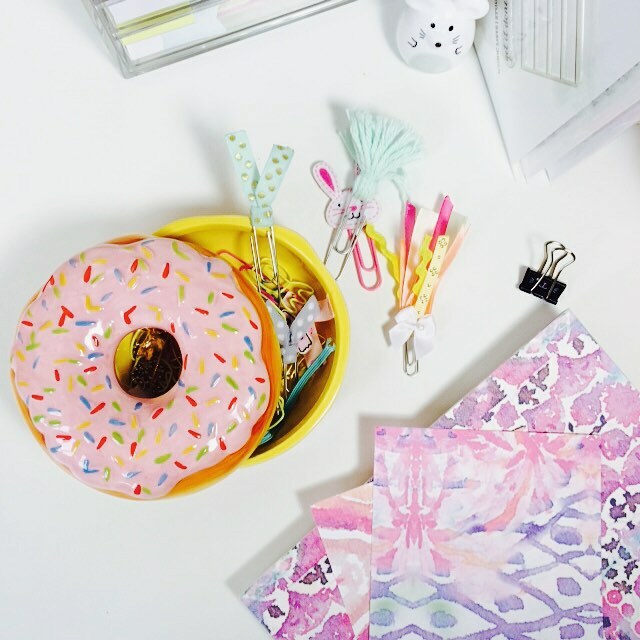 Today we have a fellow planner blogger Charlie from Sea Salt and Paper! Hello! It's Charlie from seasaltandpaper.com (formerly heycharlieblog.com) my blog is all about my love for planners, stationery, productivity, living by the sea & all of the little things that make life lovely. My planner collection is always changing! I currently have two A5 Filofax Dominoes, one hot pink and one in turquoise. Three fabric fauxdoris (one in field notes size and two standard size). Next up in my collection are two Erin Condren Life Planners (ECLP) an 18 month Horizontal and a 12 month Vertical. Lastly, I have a personal size turquoise Filofax Domino. Oh, and a pocket size Filofax Domino in deep pink. I am so in love with the ECLP that I haven't got eyes for any other planner! I don't think I've reached planner peace, but my current set up is really working for me. I have pre-ordered the new limited edition gold Filofax Saffiano but I haven't got any idea what I'm going to use it for yet! I'm using a fabric standard size fauxdori as my carry around planner. This planner goes with me everywhere! I'm also using my A5 turquoise Filofax Domino which I use to archive my shop and blog finances. And, of course, I'm using my horizontal ECLP (project management planner) and vertical ECLP! (wellness/fitness journal). I haven't been keeping my wellness journal up to date, so the setup for this might change in the future. 3. 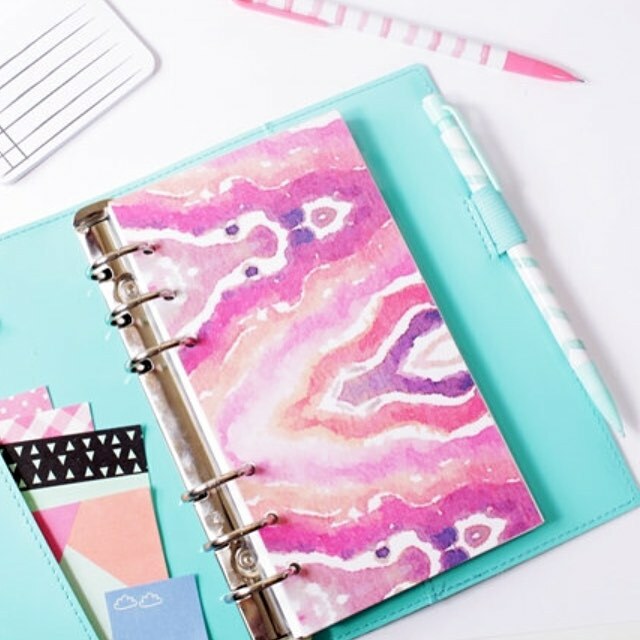 What are your favourite planner brands? 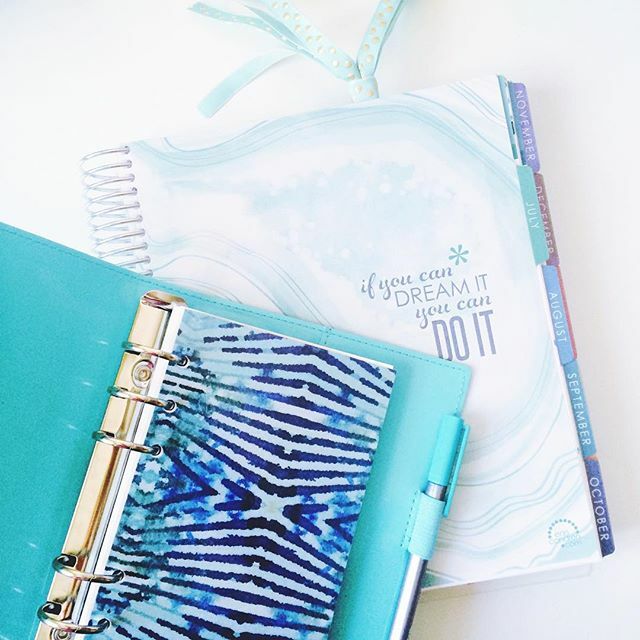 I'm really in love with my Erin Condren Life Planners so EC is definitely my favourite. 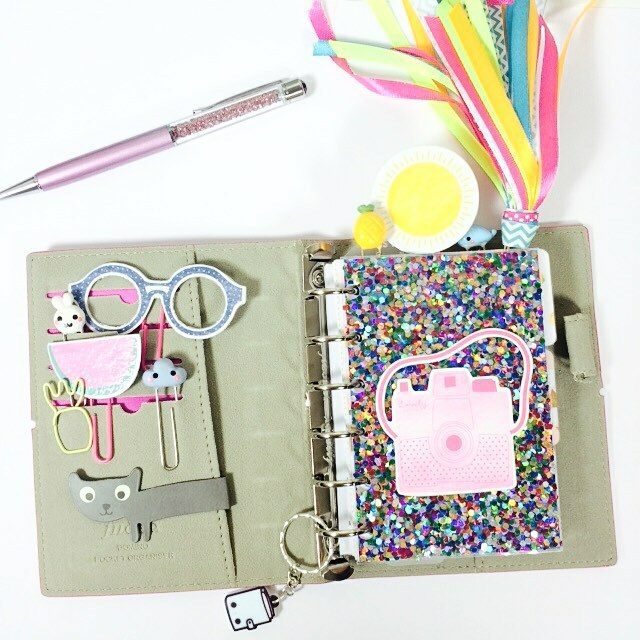 I am also a ring binder planner girl and I equally love Filofax and Kikki.K. Instagram is my favourite place for inspiration. There's so many other planner addicts out there and I love being part of the community. It's also a great place to learn tips and hacks. YouTube is also a massive inspiration, this is the first place I look if I want to find a review of a particular planner or planner accessory. 5. 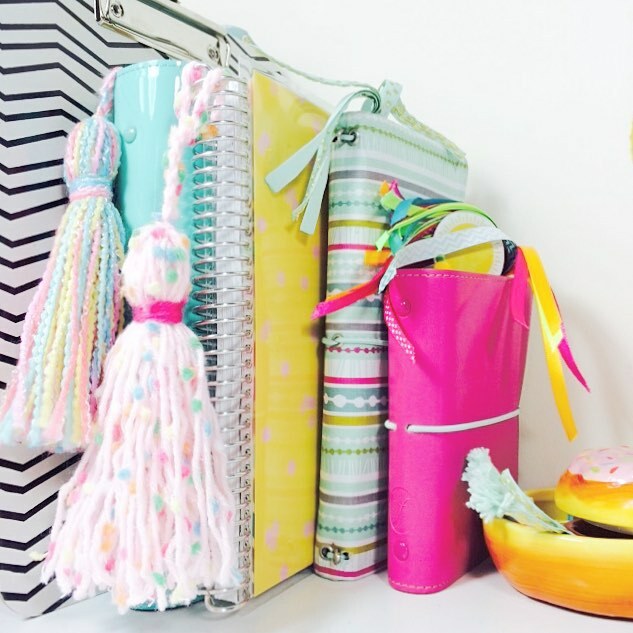 Do you have any favourite planner bloggers? There's so many to mention! The first planner related blog I ever read was Anna's (www.mrsbrimbles.co.uk). I've learned so much from her and still do even to this day. I also enjoy reading Rachels blog www.therachelmark.com. Others I read often are www.strangecharmed.com, www.wendaful.com, www.polkadotparadiso.wordpress.com, www.philofaxy.blogspot.com,www.plannerbug.com, www.amanda-sheseclectic.blogspot.co.uk, and www.anxiouslybeinghavok.com to name but a few. 1. Sticky notes 2. Paper clips 3. Pens 4. Page flags 5. Corrector pen. The only planner which I take out and about is my fabric fauxdori. It's super light and holds everything I need. Inside I have a master to-do list, schedule, bill tracker, house work tracker, business goals, project ideas and brainstorms, and notes. My planner pages are quite minimal at the moment - sometimes I like to have a theme and sometimes I like to leave it undecorated. I'm using soft pastel colours throughout my planner at the moment. I would describe it as functional - I definitely like to see more writing than decoration. When I do decorate I will usually start with washi tape and pick out stickers and sticky notes to match. I have always had a planner of some description, even when I was as young as 8! Up until 3-4 years ago I used a week on one page diary, but once I discovered my love for Filofax and ring binder planners after watching planner related videos on YouTube I never went back! 10. What is your favourite thing about Live. Love. Planners? 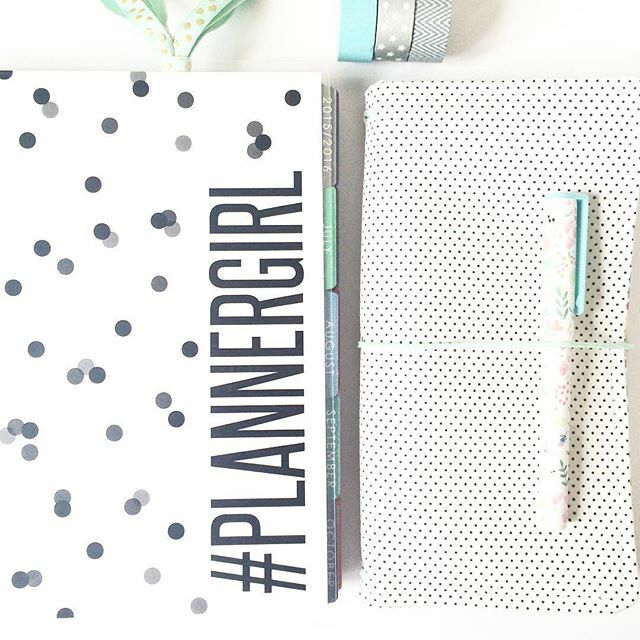 Live.Love.Planners is an exciting blog full of refreshingly honest, well-written blog posts. I can't wait to see what you have in store for us! Thank you for inviting me over to your blog Beth! Thank you so much for coming doll! Remember, if you are interested in taking part in an interview here on Live Love Planners, shoot me an email at liveloveplanners@gmail.com and I'll respond as soon as possible! Thanks for reading! Oh, new planner blogs that I haven't read! Of course! It was a pleasure having you!